Roulette may be a game of chance, but it's loaded with statistical elements that create a range of payouts and the power to place strategic bets. 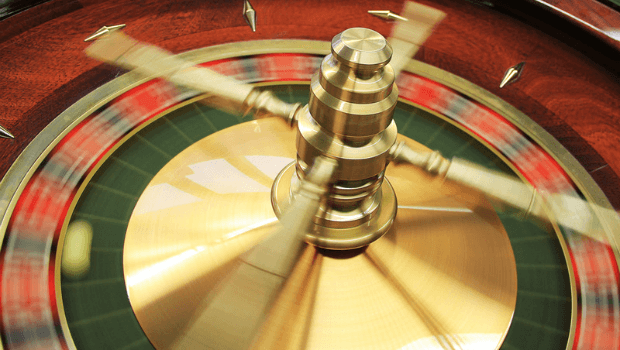 Check out our quick guide to roulette statistics—including the basics of online statistics, odds & payout statistics for Outside bets, odds & payout statistics for Inside bets, and using roulette statistics to win. -Payouts range from even money (1:1) to 35:1. If you're going to play roulette, think about different versions of the game —particularly the different odds of American and European Roulette. While the games are basically the same, the statistical chance of winning is theoretically slightly lower in American Roulette, due to two zero pockets on the table. In reality, most gamers don't experience much difference in their winning and losing sessions, and some swear they are luckier at one version of roulette, regardless of whether it's US or Euro. Outside bets include the famous “even money wagers”, such as red or black, even or odds, or 1-18 and 19-36. Thanks to the single zero in European roulette, and the double zero in American roulette, these bets have a 48.65% chance of winning in the Euro version, and a 47.37% chance in US roulette. So, this gives the casino a slight edge, with the payout at even money (bet $10 and get $20 back). You can boost your payouts to 2:1, with a 32.43% chance for European roulette and 31.58% for American roulette, by selecting Column and Dozen bets. These wagers contain 12 numbers (1-12, 13-24, 25-36) or a wager on the first, second, or third line. A $10 winning bet returns $30, including your stake. Method: Bet on two numbers that sit next to each other on the table. Method: Bet on the zero, double zero, 1, 2 and 3. Odds:13.16% for American roulette (not available in European roulette). Roulette is theoretically a game of luck and chance, but it's also a game that mathematicians love to pick apart. If the fictional ace student in Good Will Hunting had played roulette, he'd have a field day trying to create the winning formula. In reality, while no one can promise you a guaranteed winning roulette system, thousands of players claim to have success using strategies based on logic. In theory, this is genius—but be warned! The statistics of roulette gaming mean that long runs of red or black can and do happen randomly. Roulette systems, whether based on Inside bets or Outside bets, need using with care and discipline. Some players develop systems that they use to win consistently, but discipline and careful budgeting and bank management are crucial.